"[She is] so animated, in facial expression and gesture, and seems so attuned to the possibilities of the moment. 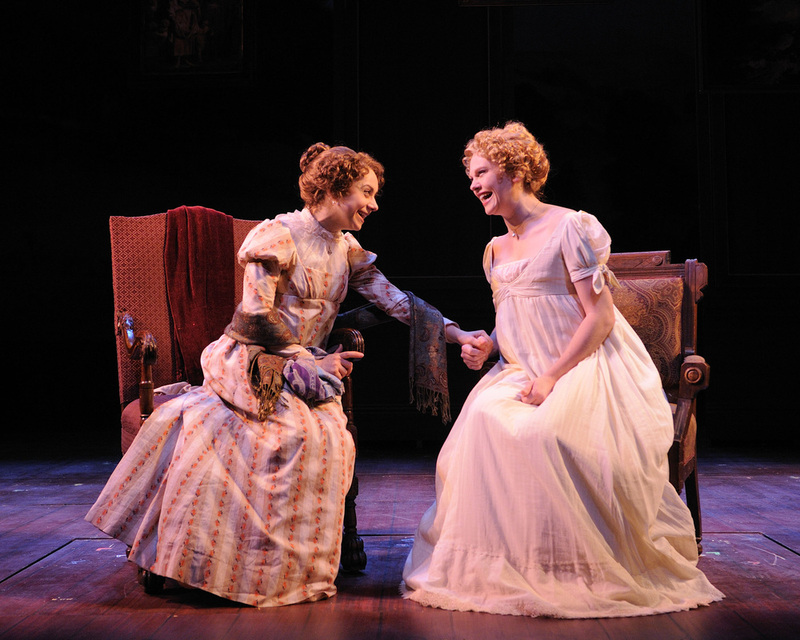 In the title role, Carolyn Faye Kramer is a gift to a seamless and moving production...The convincingly young-looking actress conjures up an Anne whose obvious intelligence, optimism and high spirits are anchored by streaks of stubbornness and pragmatism…Kramer’s performance registers vividly in the intimacy of Olney’s Mulitz-Gudelsky Theatre Lab space. 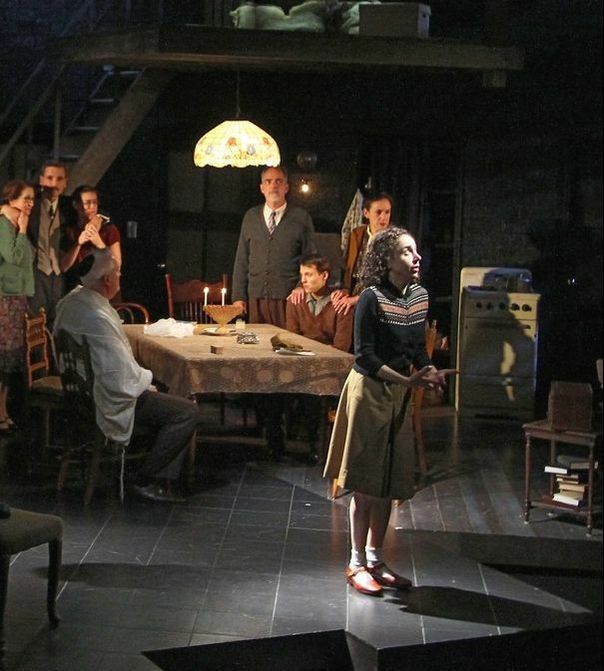 ...Thanks in part to Anne’s hopeful voice, this “Anne Frank” is often lively, funny and life-affirming, but it doesn’t shrink from devastating bleakness." "Carolyn Faye Kramer plays Anne with all the frenetic energy of a young girl brimming with life and enthusiasm and makes us feel the high drama of adolescence forced to play out in a claustrophobic attic. At the same time, her nuanced performance captures the qualities that set Anne apart. Kramer’s Anne was a thinker, a feeler, an observer; someone destined for great things if only given the chance to live." "Kramer’s Eurydice was subtle and smart, soft but strong, with an altogether – pardon me, but I must say it – feminine strength. To use mysticism as a metaphor quickly, she has the Yin that brings Yang to its knees." "Carolyn Faye Kramer’s performance is smart and uninhibited." 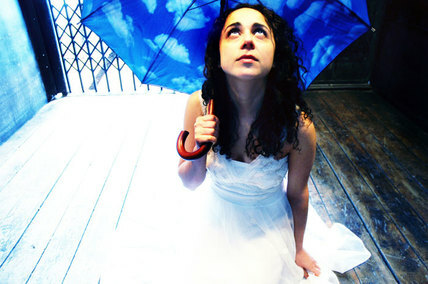 "As Eurydice, Carolyn Faye Kramer is ideally cast. 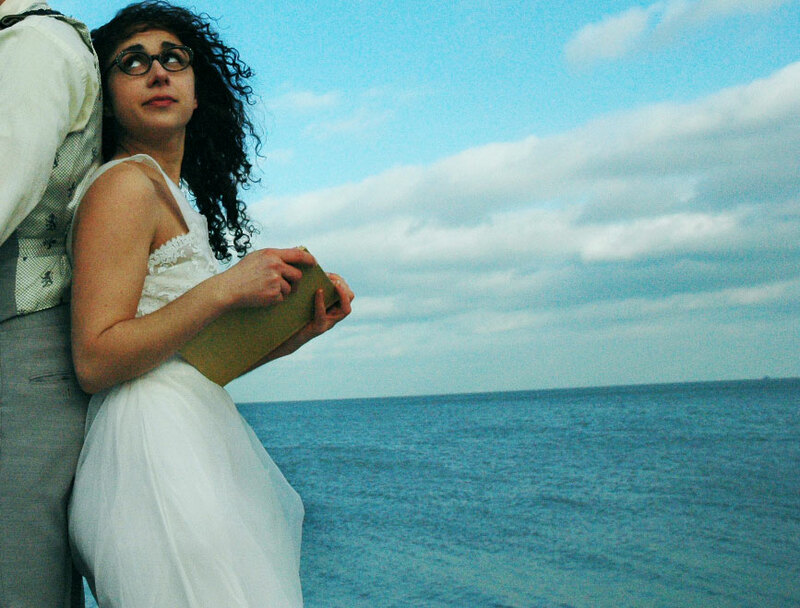 The petite and child-like Kramer makes it clear that she’s head-over-heels in love with Orpheus, whom she’s set to marry, but lonely. " "As #8, Carolyn Faye Kramer walks through the world with such all-consuming shock and dismay that you pine for a spinoff '#8 Show' that's just her saying 'eww' and 'you guys' all the time." 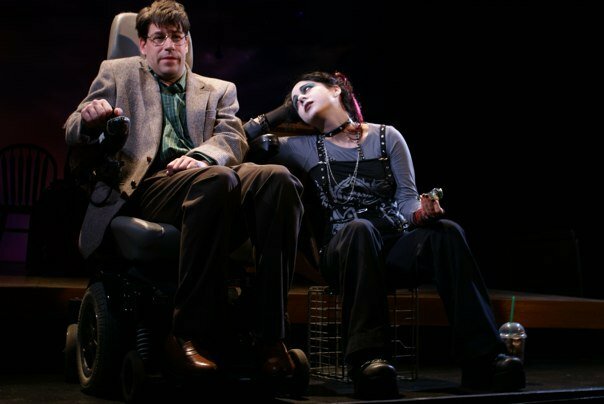 ​"[director Derek] Goldman calls [Carolyn Faye Kramer] remarkable and really great at playing the nuances of both the 13- and 15-year-old Anne in the play. …[Goldman says] ‘I knew the soul and spirit of who Anne is and needed someone with the chops to really track the way she grows up over the course of the play. Carolyn brings such spirit and wisdom and adventure in all the ways that Anne is.’"
​"…one of the most gripping dramatic plays I’ve seen in at least ten years…exceptional…Playing the role of the perky and optimistic Anne Frank, Carolyn Faye Kramer is phenomenal…the positive spirit of Anne Frank…is communicated so adeptly in this exceptionally well-directed and performed play. It should not be missed." 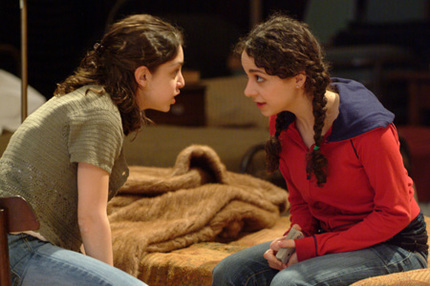 "…the play…has a remarkable young actress in the title role. Carolyn Faye Kramer…seems almost intimately connected to the role and the persona…Kramer is the key onstage…She is something of a catalyst with her high energy, her questions, her longing for experience in a place where there is barely an inch of privacy… Small and youthful, her changes through time come entirely through her emotions, the way she begins to move more cautiously, her growing understanding of their shared predicament. In spite of the evidence of danger and possible disaster, and the crushing life they lead, she has an honest hope… Kramer makes you feel that Anne — who wrote that ‘In spite of everything, I think that people are really good at heart’ and who died only days before the liberation of her camp — was likewise full of aspirations and possibilities, of similar variety, kinds and riches." ​"Even in the modern era when the entire scenario of going to the Underworld feels foreign, Eurydice (Carolyn Faye Kramer) makes the Underworld and what it means seem very real. Most importantly, however, she makes us truly care about the tragedy of the story." "Carolyn Faye Kramer evokes empathy in the titular role." "Kramer is an adorable bespectacled nerd." "Carolyn Faye Kramer is wonderful as Emma’s friend “Harriet Smith”. Kramer shines an innocence into the unsophisticated but oh-so-moldable Harriet, who is the center of several of Emma’s failed matchmaking attempts. Her character is layered with so much expectation and uncertainty that one can’t help but root for her all the way through." "Long and loud rounds of applause are appropriate for Carolyn Faye Kramer in the role of Harriet"
"Carolyn Faye Kramer is mousy and adorable as Harriet"
"The family could not be a more real family, with their two daughters, Margo (Carolyn Faye Kramer) the eldest and young Anne." "Carolyn Faye Kramer and Gail Shapiro played Margot and Edith Frank as fragile porcelain dolls, perfect foils to Kathy Scambiatterra’s overbearing and shallow Mrs. Van Daan"
"Carolyn Faye Kramer as a hollow-eyed Margot Frank"
"The last member of the family — wedged between this raving, recently religious mother and droopy father — is high-school student Rachel Stein. With a few colored streaks in her dark hair and eyes painted with all the spite of Satanic teenage rage, Rachel is the kind of daughter one might expect find in this fractured home. She’s goth and she’s too damn smart for her own good. 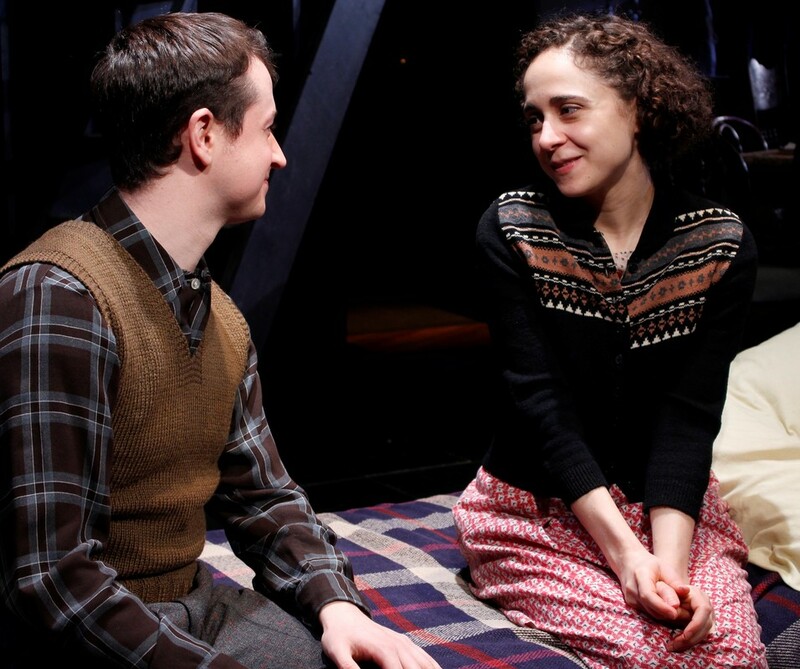 Carolyn Faye Kramer plays the part with a delightful, earnest, heartfelt angst." "Marlene, is portrayed with power and perception by Carolyn Faye Kramer... It’s an impressive Lewiston introduction to the talented young lady who was raised in the Boston area and has performed in numerous theatrical productions including “The Diary of Anne Frank” and on ABC-TV’s “The Family.” She’s a writer, visual artist, and black belt in kung fu, and she has performed around New York City with her musical and hip hop improvisation teams. Kramer’s portrayal of the willful but painfully isolated teen is right on target. Her stubbornness extends to her insistence on talking to her father behind a closed door." 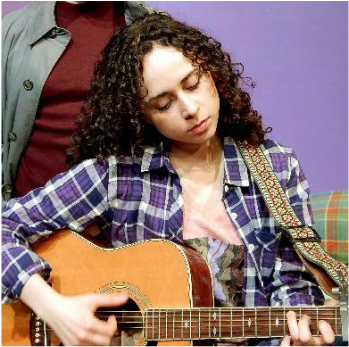 "Kramer offers a touching quality to the play as the teenage daughter, struggling to find her identity and self-worth in the wake of her parent’s separation. She also wrote the music for the songs her character sings throughout the play." 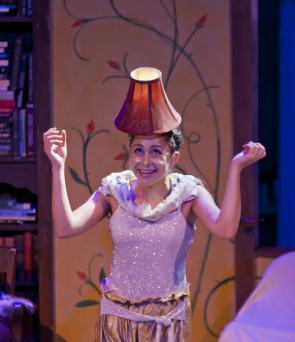 "Carolyn Kramer (“Only” the lamp) is absolutely endearing as the unshakably dependable servant."